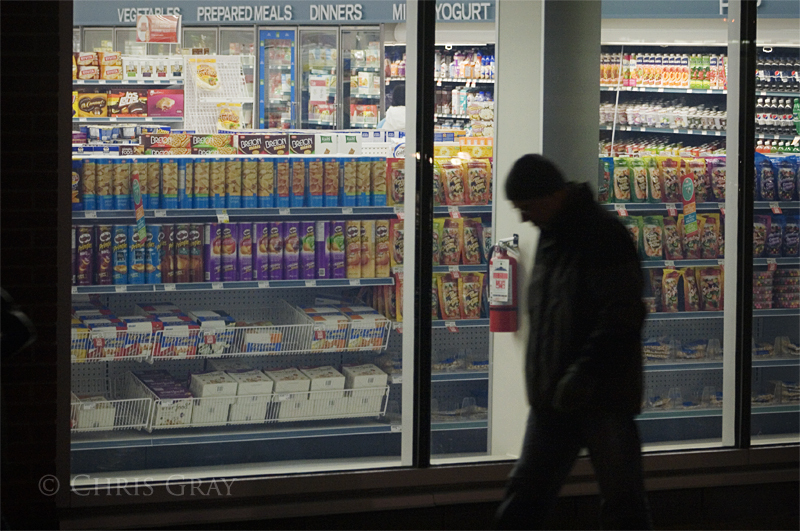 A pedestrian walks by the windows of a Shoppers Drug Mart on Queen St. Lately, it seems that Shoppers is carrying more and more groceries. According to a report I heard on the radio, they're getting a tremendous margin on their groceries, and are refocusing their stores to reflect that margin. I wonder if they'll eventually morph into a grocery chain with a pharmacy. No - they're going to turn into a department store. This page contains a single entry by Chris published on January 15, 2011 7:00 AM. Details was the previous entry in this blog. More Winter Weeds is the next entry in this blog.